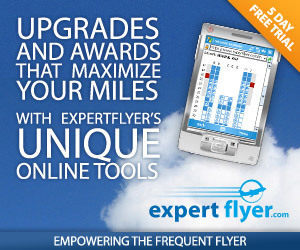 In November 2012 American Express Foreign Exchange Services had a rather interesting sign-up deal (I would link to my original post, but it was on the old version of UKpoints.com and I’ve not had a chance to restore that post yet). Anyway they have a new signup deal running currently, sadly not as generous as the November one, BUT still worthy of note if you need to move money or make any international payments / transfers anyway. Normally Amex FX Services charge people a flat fee of £10 to make a cross currency transfer payment, and you can also earn 1 Amex MR per whole £10 transferred. Update: After I published this post, details of a better offer for Platinum Card holders have appeared, I’ve added that down below this. The following is the unrestricted offer open to Green/Gold Amex cards. 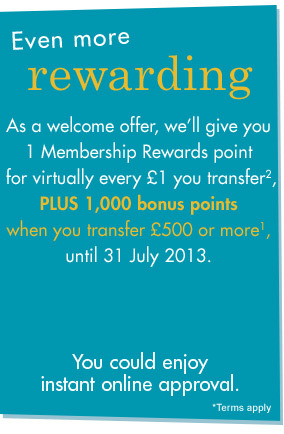 Firstly a bonus 1000 MR points if you settle and fund £500 (in one or more transactions) by 31st July 2013. Secondly, 1 MR per £1 transferred in all transactions until 31st July 2013, maximum 10k MR in any one transaction. This first bonus we have is flat and fixed at 1k MR (it is not proportional to the size of the transaction). As a result a single transaction over £500 would trigger it – and it should effectivly net off against the £10 fee charged. (Whereas 5 x £100 transactions would incurr 5 x £10 fees but there is only a single 1k bonus). So this is effectively a single sending-fee-free transaction in the period, as long as you do over £500 in the period. The second part of the bonus is 1MR per £. Using the same MR value (1p) this equates to 1% back. Now you need to check with your bank, but Euro payments inside SEPA (Single Euro Payments Area) – which includes the UK, even though it doesn’t use the Euro, MAY not be subject to any recipient fees. But you NEED to check with the receiving bank, what fees they charge for receiving international payments, etc. However with just 1% (i.e. 1MR/£) from the deal, it is very easy for any further fees or charges, and certainly any FX rate/fee to make paying yourself not a practical option for printing points. If however you needed to pay someone abroad, or move your money from GBP to another currency anyway, – it could make sense and be of benefit/use. Section 2 of the T&C could suggest this 1MR/£ promotional rate is open to existing customers, if you are one I would certain check and confirm before expecting it. Note that while you signup being an Amex credit card customer, you fund the transactions using your debit card, etc. The platinum offer increases the joining bonus to 2,500 Membership Rewards points when you transfer £1000. This could just be worth doing, if you don’t think a better deal will come along. It would almost certainly make it a net gain transaction if you have a payment to make anyway.